They say a picture’s worth a thousand words, so who knows how many videos are worth! 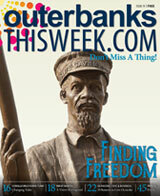 OuterBanksThisWeek.com has teamed up with Outer Banks TV 190 to add a new dimension to your local experience with Outer Banks videos. With one quick click here you’ll be watching videos on area restaurants, attractions, events, history, businesses, recreation and more. Listen to business owners, water sport instructors, chefs and brewers discuss their trade and what makes their establishment essential to the Outer Banks; it’s like being at a convention of local businesses. Learn how the chefs at popular local eateries create their dishes; discover Outer Banks videos that introduce you to some of the best local retailers; find out the top businesses to check out for any situation. Outer Banks TV 190 takes you behind the scenes to learn more about attractions you won’t want to miss and prepares you for beachy fun. 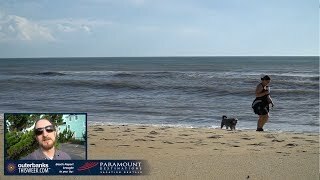 The insider information you’ll get from these Outer Banks videos will turn you into everyone’s trusty guide when it comes to places to go and things to do. You’ll be a fountain of knowledge in your circle of family and friends, and they’ll all come to you when they have a question. Do you know where they can find the best place to rent a kayak? Yes, you do. What about getting a good cup of coffee? You’ve got it covered. See what we mean? Know before you go! Monday through Thursday take 15% any drink order of $10 or more!